APUS Message Center - Intelligent management – Soft for Android 2018 – Free download. 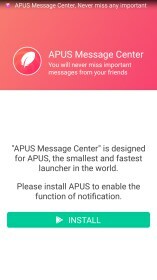 APUS Message Center - Intelligent management – A bare bones notification app. 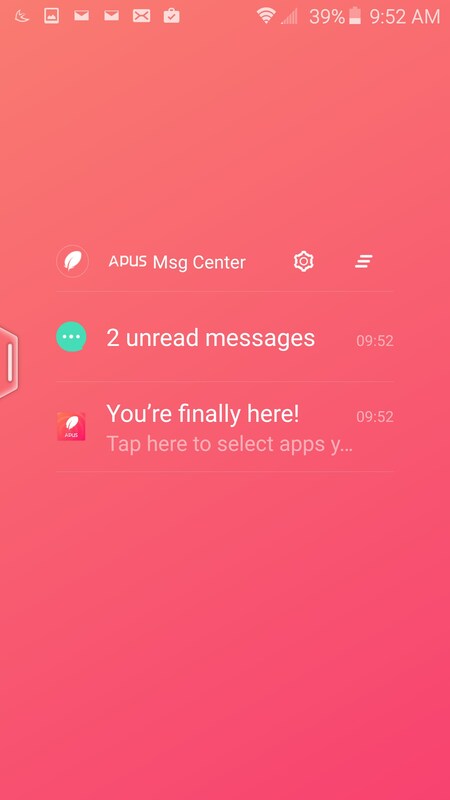 APUS Notification for Android aims to display most all of your push notifications in one convenient place. 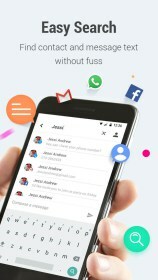 It works with Gmail, WhatsApp, various email clients and SMS messaging apps. 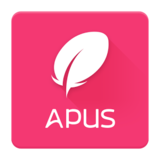 The app works hand in hand with Apus launcher. APUS Notification is a simple app that really doesn't do much. 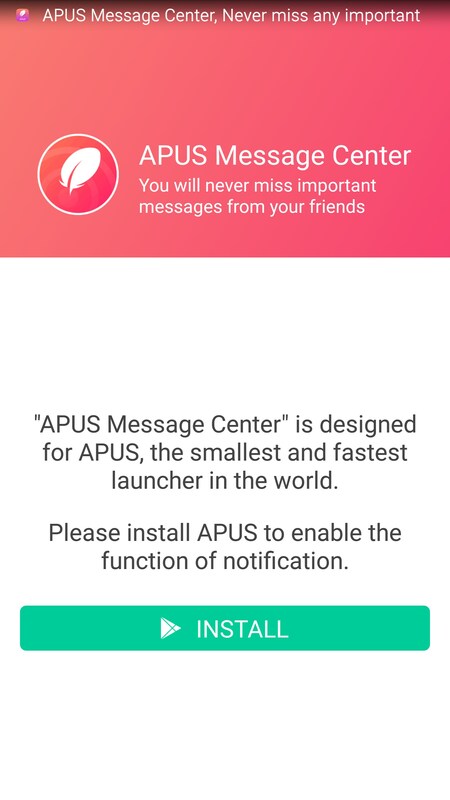 If you've downloaded this app and aren't quite sure how to make it work, be sure you also have the APUS Launcher app installed, because this notification app will not work without the launcher app installed. 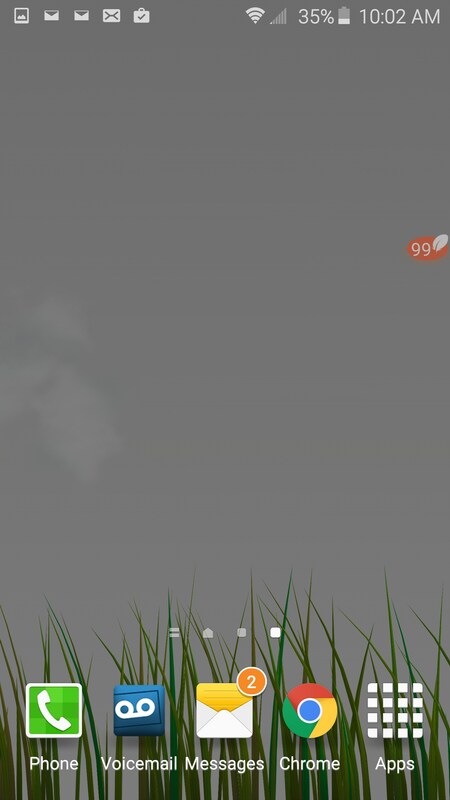 In fact, if you click on the icon for this app, it will open a message prompting you to install APUS Launcher. Once you have the launcher and this notification app installed, it's time to make the magic happen. Just tap the app's icon to open a modest settings screen. 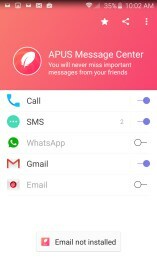 This is where you can turn on and off various slider switches to activate notifications for the specific apps you're using, like Gmail, WhatsApp and others. Once you have those few modest selections made, you're all done. 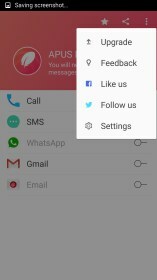 The app will now place a tiny red feather icon on the right edge of your screen, which floats atop all open windows or apps. If you look closely, you'll see a tiny number on the feather, representing the number of messages or notifications you have waiting for you. Just tap the feather icon to open the APUS message center, showing a list of all new messages pending. 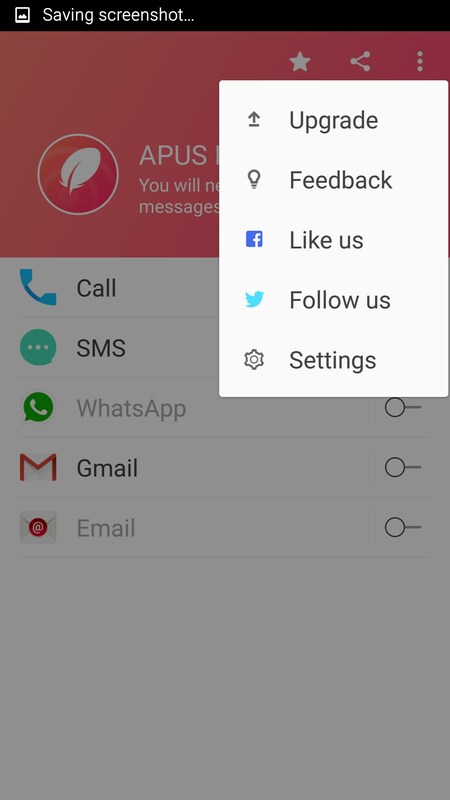 Tap any of those to open each respective app where you can read and reply to the original message. 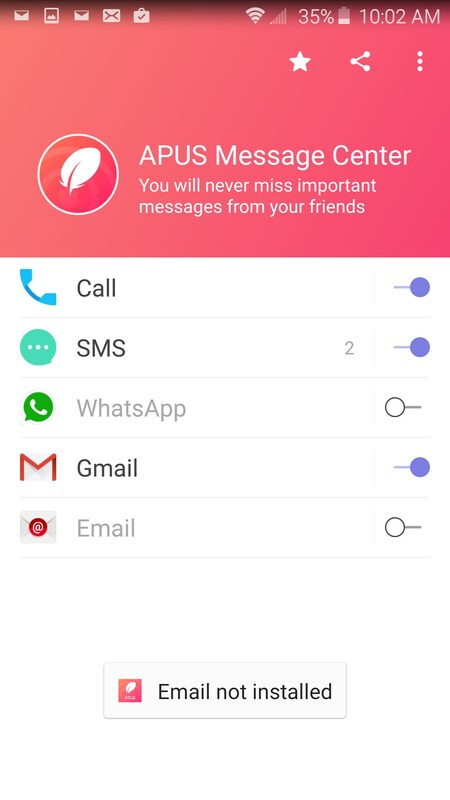 The notification interface also displays missed calls. 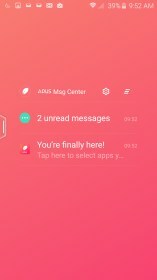 APUS Notification could easily be added to the APUS Launcher app, thereby negating the need for 2 separate apps, but APUS' claim to fame is they are the smallest launcher app on the market, and adding this notification launcher probably changes that; hence why you have to install a redundant second app. This one is decent, not great.